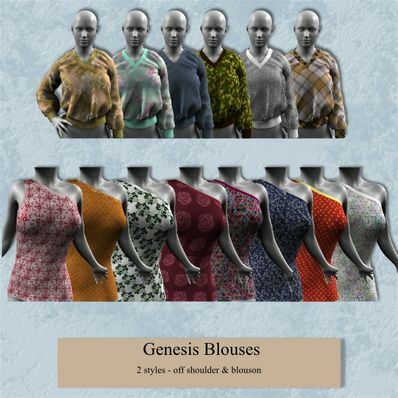 Blouses for Genesis for use in Daz Studio 4. 2 styles - Several textures for each. Both of the blouses that I just downloaded are just too cute. As with everything you create these are really really nice. Thanks Wendy for creating these lovely styles of blouses with all the pretty textures. Much appreciated. Such variety, thanks so much.